Cinnamon is an ancient herb that has and still is being used by many cultures today. Native to Ceylon, (Sri Lanka), true cinnamon, Cinnamomum zeylanicum, dates back in Chinese writings to 2800 B.C., and is still known as kwai in the Cantonese language today. Its botanical name derives from the Hebraic and Arabic term amomon, meaning fragrant spice plant. 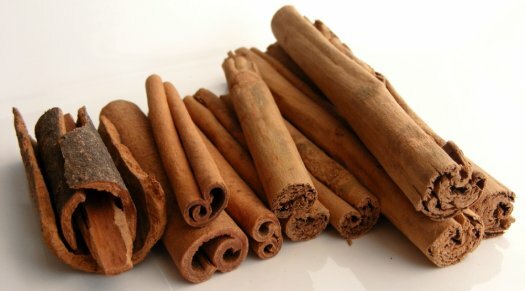 Ancient Egyptians used cinnamon in their embalming process. From their word for cannon, Italians called it canella, meaning "little tube," which aptly describes cinnamon sticks. Interestingly enough, Ceylon (the true variety of cinnamon) is rarely used in many countries as it is not widely available. Cassia cinnamon, which is by far the most popular out of the two varieties, can be found primarily in many of the western world today. The two varieties of cinnamon, Cassia and Ceylon, have similar flavour, however the cinnamon from Ceylon is slightly sweeter, more refined and more difficult to find in local markets. Despite the difference between the two varieties, cinnamon as a whole, offers us many health benefits that are hard to ignore. Cinnamon has a long history both as a spice and as a medicine. By far one of the most known health benefit of cinnamon is its ability to regulate our blood sugar. Cinnamon may significantly help people with type 2 diabetes improve their ability to respond to insulin, thus normalizing their blood sugar levels. Both test tube and animal studies have shown that compounds in cinnamon not only stimulate insulin receptors, but also inhibit an enzyme that inactivates them, thus significantly increasing cells’ ability to use glucose. Not only does consuming cinnamon improve the body’s ability to utilize blood sugar, but just smelling the wonderful odour of this sweet spice boosts brain activity! It was found that chewing cinnamon flavoured gum or just smelling cinnamon enhanced study participants’ cognitive processing. 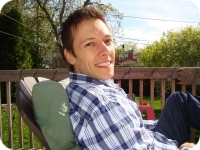 Specifically, cinnamon improved participants’ scores on tasks related to attentional processes, virtual recognition memory, working memory, and visual-motor speed while working on a computer-based program. Cinnamaldehyde (also called cinnamic aldehyde) has been well-researched for its effects on blood platelets. Platelets are constituents of blood that are meant to clump together under emergency circumstances (like physical injury) as a way to stop bleeding, but under normal circumstances, they can make blood flow inadequate if they clump together too much. The cinnaldehyde in cinnamon helps prevent unwanted clumping of blood platelets. (The way it accomplishes this health-protective act is by inhibiting the release of an inflammatory fatty acid called arachidonic acid from platelet membranes and reducing the formation of an inflammatory messaging molecule called thromboxane A2.) Cinnamon's ability to lower the release of arachidonic acid from cell membranes also puts it in the category of an “anti-inflammatory” food that can be helpful in lessening inflammation. In addition to its unique essential oils, cinnamon is an excellent source of the trace mineral manganese and a very good source of dietary fibre, iron and calcium. The combination of calcium and fibre in cinnamon is important and can be helpful for the prevention of several different conditions. Cinnamon is one of the oldest spices known. It was mentioned in the Bible and was used in ancient Egypt not only as a beverage flavouring and medicine, but also as an embalming agent. It was so highly treasured that it was considered more precious than gold. Due to its demand, cinnamon became one of the first commodities traded regularly between the Near East and Europe. Ceylon cinnamon is produced in Sri Lanka, India, Madagascar, Brazil and the Caribbean, while cassia is mainly produced in China, Vietnam and Indonesia.